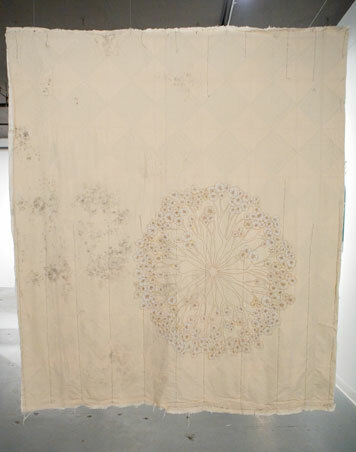 Found quilt, appliquéd with floral motifs from vintage bed sheet and embroidered by hand. Heavily mildewed and stained, partially finished quilt found on the street in the artist's neighborhood. Discarded along with photo albums and knick knacks when an elderly neighbor died. Embellished and finished by the artist. 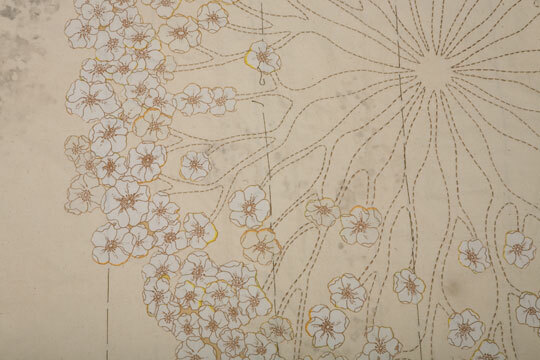 Andrea Vander Kooij, Detail - Bloom, 2008. 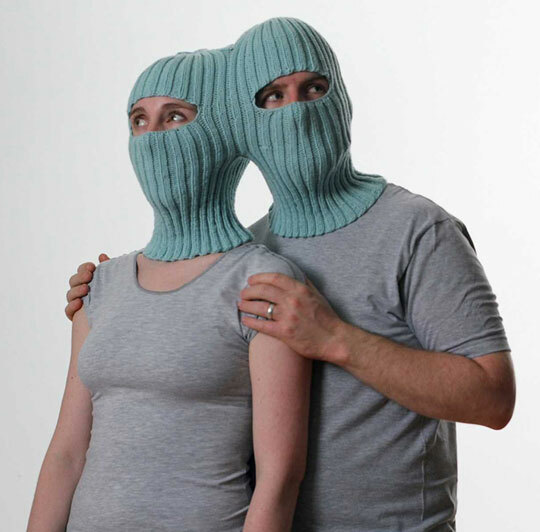 Andrea Vander Kooij, Balaclava for Looking in the Same Direction, 2006.